The Way That Seems Right, Is Wrong! There is a way that seems right to a man, but its end is the way of death. What is this way that seems right? The law seems right, feels natural but produces death, it is the system man feels most at home in…this system will restrict, confine and kill you. Discover the ability to believe in God’s faith in you. Simple but radically life changing. 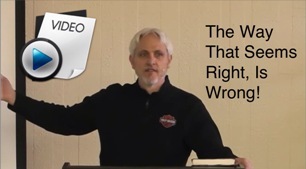 Posted on March 31, 2014 October 26, 2016 Author EvanCategories Grace Audio/Video MessagesLeave a comment on The Way That Seems Right, Is Wrong! 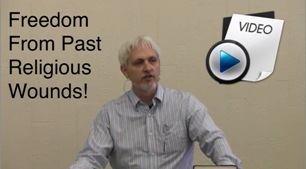 In this message, we take a closer look at how our religious past can affect our current and future in grace. Once we discover God’s grace, sometimes the scar tissue from an old religious wound remains inflamed and hinders our grace walk. You have been set free, free to love and be generous, as He is so are we in this world. 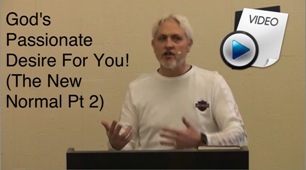 Don’t let religious wounds from the past, hinder your life in His amazing grace! Live your passion! Love defines your eternal moment. Discover in this message God’s passionate desire for you to enter His rest, and live your passion. This is a continuation of “The New Normal.” Cast your cares upon Him, for He cares for you, and He will exalt (lift up, to raise to the very summit of opulence and prosperity) you in “due time.” When is “due time?” Listen in and find out when your “due time” to be exalted is. 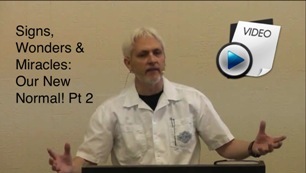 Part 2 of Signs, Wonders & Miracles, Our New Normal. Two weeks ago, we started the Signs, Wonders & Miracles series, and the testimonies have been coming in! Today we share two testimonies of Miracles, and continue with the message titled “Our New Normal!” Get excited and receive your miracle as you are encouraged in this message and receive the prayer at the end for your miracle. Please tell us your testimony. FYI our audio/video server has been in the process of changing in the last week and a half, and we discovered some of the older messages were not accessible. This issue is supposed to be resolved in the next week. 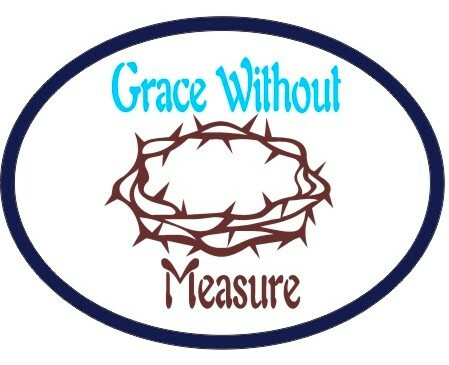 In order to access all archived messages, click on the logo or follow this link: http://gracewithoutmeasure.com/main/index.php?option=com_content&view=article&id=4 or click on the GWM logo. If you see God thru the mythological veil of religion, then you will never know what His will is. He becomes like Zeus or Hades. One day He is pleased and the next He is ready to judge. He kills some and cures some. Just maybe the luck of the gods may fall on you and you will survive! Think about how we feel when something not good happens to us or even when something good happens to someone else. Zeus I tell ya. Now if you look at the design of a family, you see a different set of values. As a father, I want only good things for my children. I never want them to hurt, be sick or suffer any loss (for those who do, then there are places of confinement built just for them!) I would never take things away from them to teach them value or inflict them to build their character. That is several steps below the line of stupid. Yet people apply that every day to God and His connection to humanity. God so loved the world….. and still does. He is not the author of sickness, poverty or death but the cure for it. It is His will that you prosper, be in health and live a long life, period. Now when we encounter life challenges, the pat answer comes immediately. ‘It must be His will’. When we encounter the fork in the road, the pat question arrives at the same speed. ‘What is your will Lord?’ Both this answer and question say the same thing; we don’t know. A house built on the sand is a life constructed on an infinitesimal number of micro decisions and an incomplete self value. However, a house built on a big rock is constructed on one thing. Point being this; the rock is the knowledge of how God really feels about you. The next time you hear of ‘extravagant Grace or hyper Grace’ or anything that makes the gospel message look ‘too good to be true’, take the time to listen. The greatest moment in your life is not what you can do, but learning what He did for you! Posted on March 5, 2014 Author Bill RuhlCategories Abundance of GraceLeave a comment on Transforming Thought Provoking Words!